Click here for Stan’s press kit (EPK) including statistics and publicity photos. As a solo performer or in ensembles, you can book Stan Stewart. He does a variety of collaborations which you can learn more about by following his newsletter or social media posts. 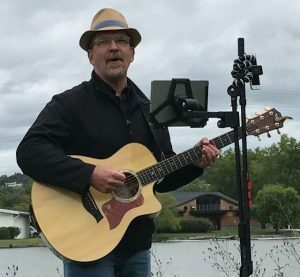 In addition to dozens of private parties and ceremonies per year, musician and teacher Stan Stewart is available for gigs of every size and style. You’ll frequently find him at charity or community-based events. Please contact us or call 607-269-7560 to arrange for your private or public gig. Check out his wedding music and wedding feedback pages. You can also follow Stan’s highly engaged community on social media including Twitter, Facebook, and Instagram.